Note: This post originally appeared in The Toronto Star. Article by Meric Gertler and Ilse Treurnicht. The MaRS Phase 2 tower at College Street and University Avenue in Toronto. MaRS plays a critical role in the dynamic hub that is Toronto’s Discovery District, “which exemplifies the new model for urban multi-sector innovation,” write Meric Gertler and Ilse Treurnicht. There was a time when the low rise building in sunny suburbia ruled as the natural habitat of entrepreneurship and innovation, with Silicon Valley as the paradigm. That model of innovation is rapidly changing across the globe. In its place is a Jane Jacobs overlay, a community where the entire innovation ecosystem — a mash-up of scientists, entrepreneurs, students, investors, marketers and more — shows up for work every day, and collaborates in unpredictable ways. It’s a change that smart cities and governments around the world are embracing to fuel economic growth. The forces underlying this trend are clear. Innovation is now driven by interaction among members of multidisciplinary teams rather than by lone inventors or programmers. And the talent fuelling this process wants to live in dense, vibrant urban neighbourhoods, not suburban tracts. That’s why in the Bay Area, the centre of gravity is shifting inexorably towards San Francisco, Berkeley and Oakland. The same dynamics are driving innovation in New York, Boston, London, Singapore and Berlin. Canada, happily, is well positioned to take advantage of this shift in the geography of innovation. It’s one of the most urbanized nations in the world, with massively disproportionate GDP generated in and around Toronto, Montreal and Vancouver. All three city regions are highly ranked globally for livability and affordability. And all have outsized research engines and thriving innovation ecosystems. The question now is whether our governments have the political will to capitalize on this momentum. We know Toronto and our own institutions best. But the experience of our region happens to be very relevant to that policy issue. Toronto’s innovation ecosystem is anchored by the University of Toronto and its partner institutes and research hospitals, with impressive strengths in medicine, advanced computing and artificial intelligence, biomedical engineering, advanced materials, cybersecurity, and cleantech. A diverse group of other strong educational institutions attract and develop talent across the region. Toronto is also a leading financial centre, with great neighbourhoods, strong public schools, and unparalleled diversity and cultural vibrancy. What has accordingly emerged here, consistent with global trends, is a vast network of innovation catalysts — both on university and college campuses and as standalones. The largest and most comprehensive node in this network — MaRS — exemplifies the new model for urban multi-sector innovation hubs, right in the heart of Toronto’s Discovery District. 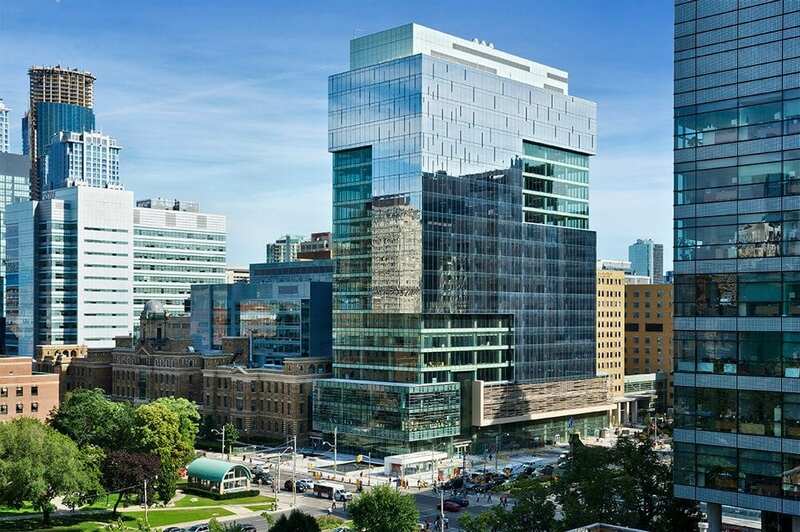 The new West Tower of MaRS is now fully leased, not just with startups but with leading research groups and corporate stars, such as Johnson & Johnson’s JLABS, Facebook and software giant Autodesk. Their presence brings young companies in contact with the global supply chains of these giants, and exposes researchers and entrepreneurs to their vast networks. Similar centres are emerging in dozens of cities everywhere. London is opening the Nesta centre and the Francis Crick Institute adjacent to University College London. New York City is building The Bridge at Cornell Tech, billed (inaccurately) as “a first-of-its-kind space for innovation.” Even when finished, it will be less than half the size of MaRS, which now comprises of 1.5 million square feet. These big hubs are almost always pivot points for networks of smaller accelerators and incubators to support startups. Toronto has more than 30. 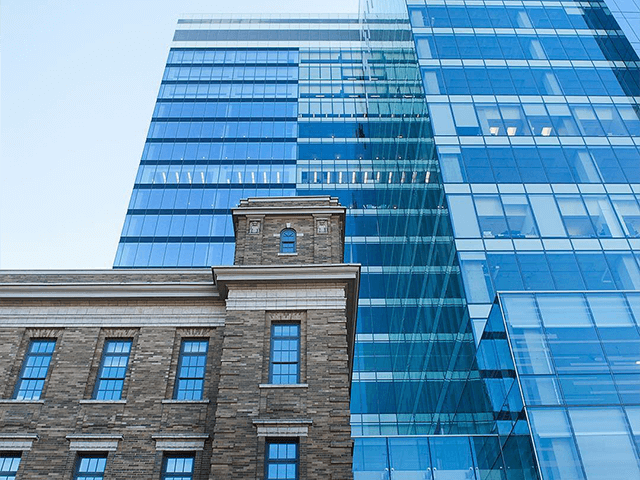 Responding to growing demand, U of T is planning to redevelop its Banting and Best buildings, across the street from MaRS, to complement and co-ordinate innovation activities across its nine accelerators. Ryerson’s DMZ is humming, and tech accelerator OneEleven is expanding its startup space from 15,000 to 250,000 square feet. The geography of innovation is changing. This shift has serious consequences for policy-making. And as cities become the leading engines of innovation, Canada will fall behind unless it embraces downtown density as a driving force in the new economy. That doesn’t mean we should neglect our natural resource advantages; innovation is urgently needed in those sectors too. But if supporting high-impact young Canadian companies is a national goal, then governments should focus closely on the handful of urban nodes where companies in convergent fields, such as precision medicine, cleantech, advanced materials, financial technology and artificial intelligence are all blossoming. Meric Gertler is the President of the University of Toronto. Ilse Treurnicht is the CEO of MaRS Discovery District.